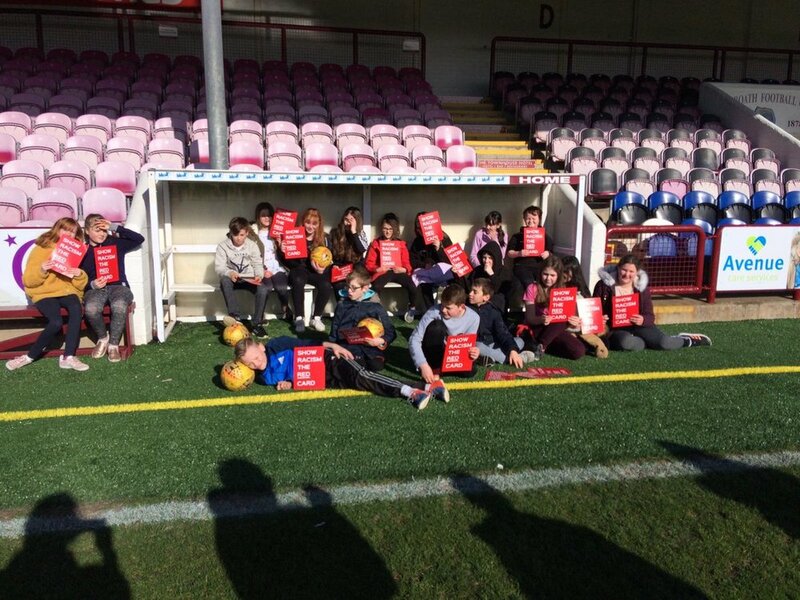 Show Racism the Red Card joined pupils from Ladyloan Primary School and Timmergreens Primary School at Gayfield Stadium on Wednesday 13th March 2019. The team delivered anti-racism workshops as well as a focus on ‘Refugees, Stereotypes and Prejudice’ education. 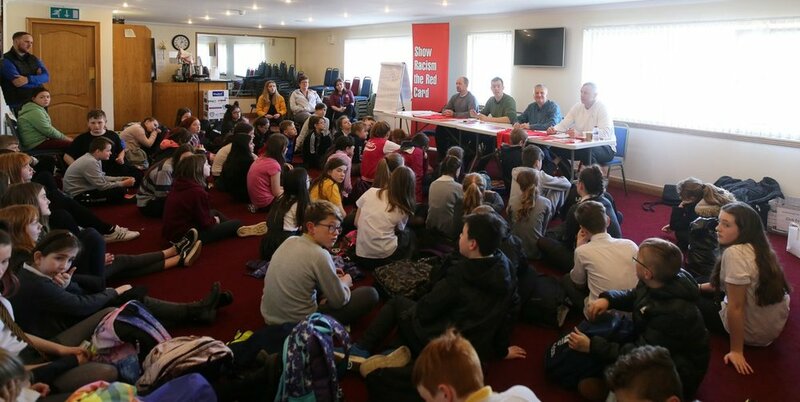 For many of the pupils, this was their first ever education session on racism. The team ensured that they covered as much as possible, reinforcing that within their shared space there are no wrong answers. After a packed morning the young people enjoyed a break out on the Gayfield playing surface to soak up some sunshine. They then returned for a tour of the stadium and its facilities - a fascinating insight for all pupils and staff, particularly for the Arbroath fans among them. 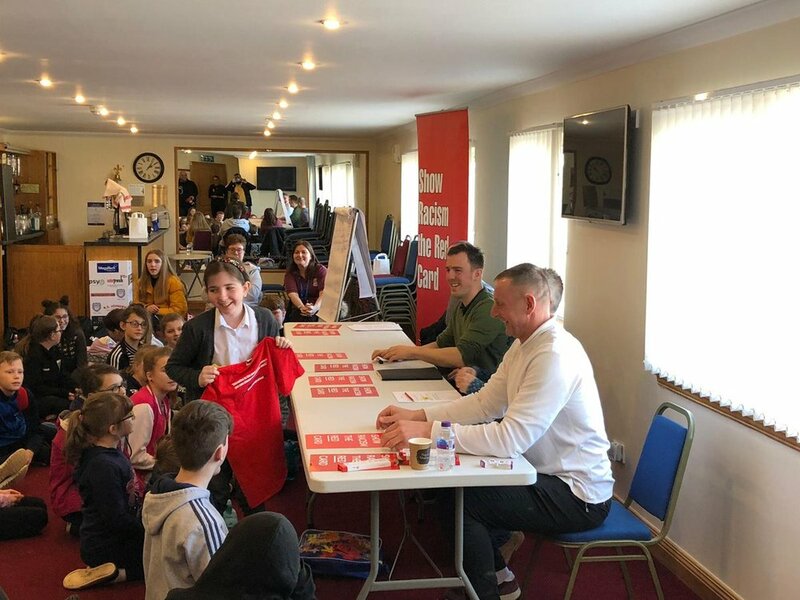 The young people had the opportunity to become media journalists for the day as part of a role play activity, posing some tough questions to a guest panel. 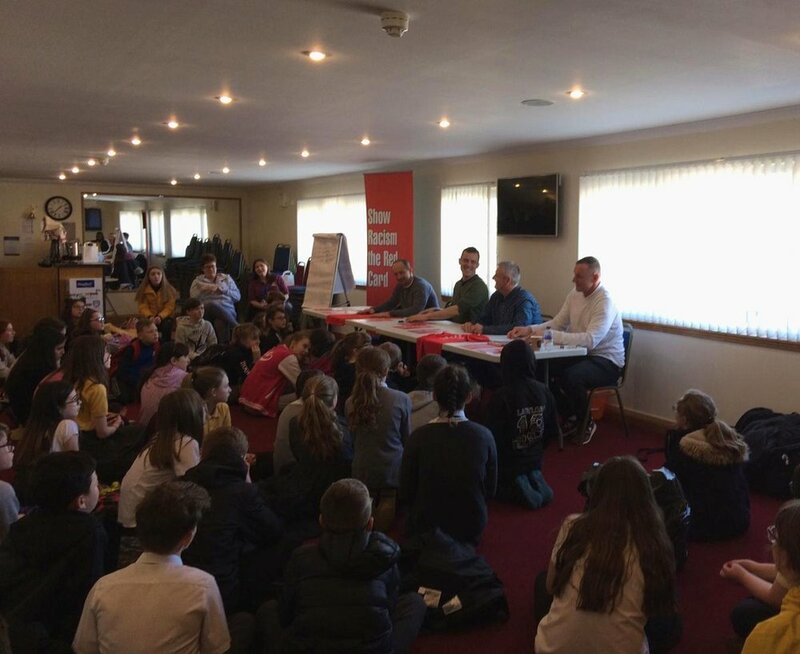 The panel included Arbroath Chairman Mike Cairns, former Celtic, Arbroath and Scotland international goalkeeper Rab Douglas, and our own ex-professional Derek Ferguson. 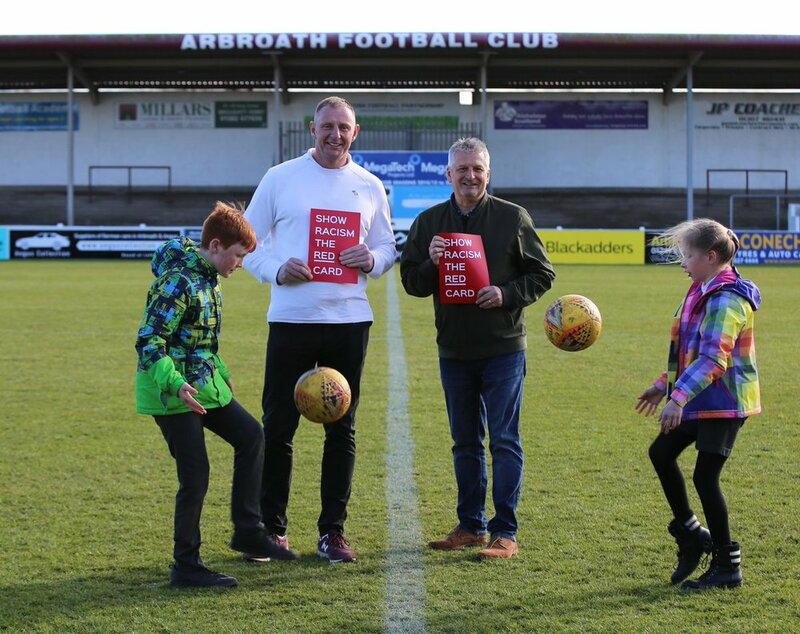 Thank you to all at Arbroath FC for making this such an inspiring event for your local young people.